A simply stunning 18th century Dutch limed oak chest of drawers with a wonderful colour that would grace any room. 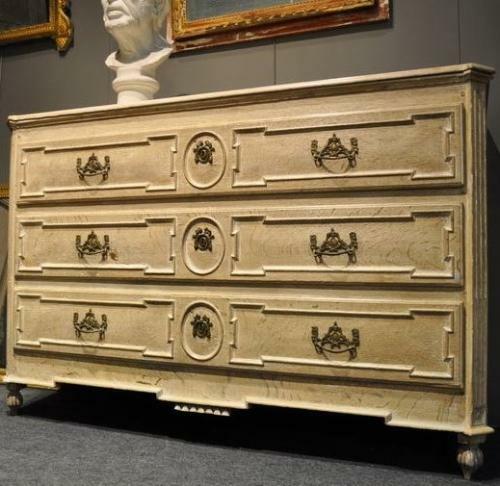 This is large, elegantly proportioned chest featuring; offset and fluted corners, geometrically detailed drawer fronts with original hardware, richly carved feet, and geometrically carved detailing to the bottom edges at the front and sides. Circa 1770.